A woman who was bent-double with a crushed spine can now walk normally again thanks to a miracle medical procedure involving balloons. The patient, a dance fan, feared she may never salsa again after smashing into a barrier in holiday go-carting accident. But the mother-of-four underwent a pioneering procedure named Kyphoplasty that saw a pair of tiny balloons inserted into her spine to push her vertebrae back into position. The patient had to be carefully lifted from the cart and rushed to a hospital after slamming head on into a metal wall at a go-carting track while holidaying. Unable to see any injuries on the X-rays, medical staff sent her home telling her to take painkillers and rest for a week. Three agonizing months later and still unable to stand, she was sent to specialists at a University Hospital where they discovered she had a fractured spine. CT scans at the specialist Centre they also found the break had collapsed one of her vertebrae and she had the first signs of Osteoporosis. 56 year patient could not believe what she had been told. How can a hospital send someone home with a broken back? The patient was bent over in agony and couldn’t walk for months. She had to quit her job and give up dancing. The patient was always a very active person but she I did not know if she would ever walk properly again. 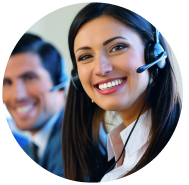 Luckily a specialist at the Centre heard about her case and got in touch. He was a Doctor and he told her about a new procedure that uses balloons to push the spine back into place. It sounded terrifying but she was willing to try anything to rid her of the pain so she agreed to have it done. Known in America as “Botox for the back”, the surgery involved inserting hollow needles tipped with balloons inside into the spine where they are inflated at immense pressure. 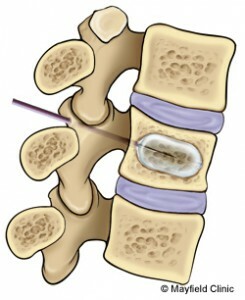 The balloons push the crushed vertebrae back into the correct place and a special surgical “bone cement” is injected into the spine forcing it back to its original shape. Doctor reckons her surgery as one of the first in the country but if more people knew about it, it could give thousands back their independence. 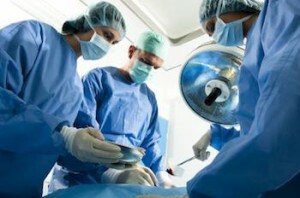 The procedure was very new to this country and not many people have heard of it. 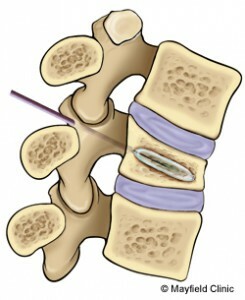 Kyphoplasty stabilizes the spine to prevent any further collapse and instantly rids the patient of pain. Her operation could not have gone better and she stood and walked home pain free that same afternoon. He created a small incision in her back and with a hand drill he created a channel through which the balloons were inserted. The balloons were inflated pushing the spine back into place and the cavity filled with PMMA cement that is normally used for Knee and hip implants. Not only was the patient able to walk but she could dance again.